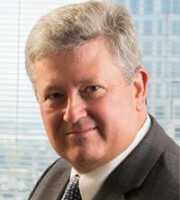 Michael O’Neill is administrative partner of the firm’s Orange County office. He has extensive experience in the preparation and prosecution of patent applications, complex prosecution, licensing transactions, portfolio management and client counselling – particularly in the implementation of corporate systems for invention management and strategic innovation. His technological areas of focus are internet, computer and software-related inventions, networks and business methods, as well as optics, semiconductors and electronic devices for clients such as Canon and Bausch & Lomb. Before joining the firm, Mr O’Neill was an engineering manager at a defence industry contractor, where his duties included research and development of inertial guidance and weapon delivery systems. Mr O’Neill chairs the firm’s nanotechnology industry group and is a member of its committee on US Patent and Trademark Office contested proceedings. He has been described as “excellent in all respects” and “a detail-oriented model patent practitioner who makes a superb counsellor” (IAM Patent 1000 2012).